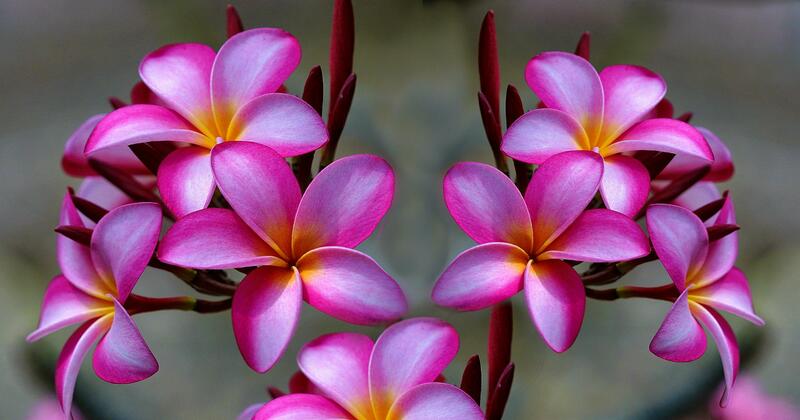 I have been much obsessed by Plumeria of late. This plant, bush, tree, has the best flowers. 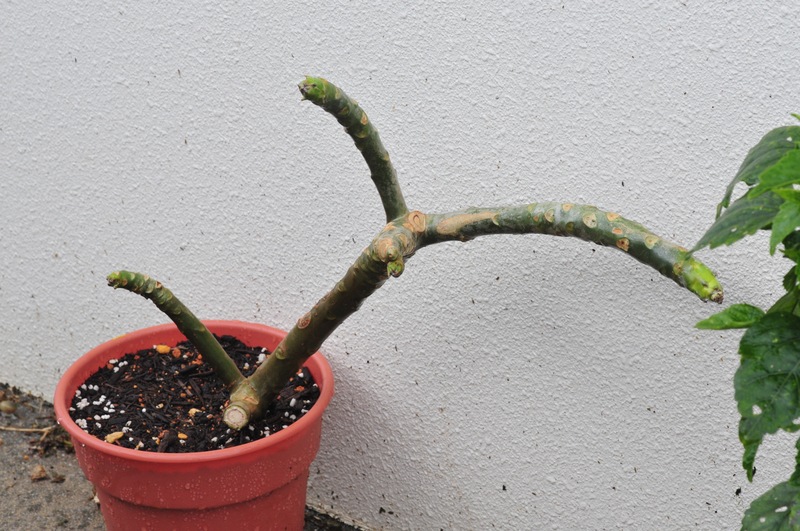 I know that if I can get some cuttings from their huge trees then I can raise huge Plumerias of my own WITHOUT SPENDING LOTS OF MONEY. Sad isn’t it? I have lots of money but I still search for the cheapest deal. 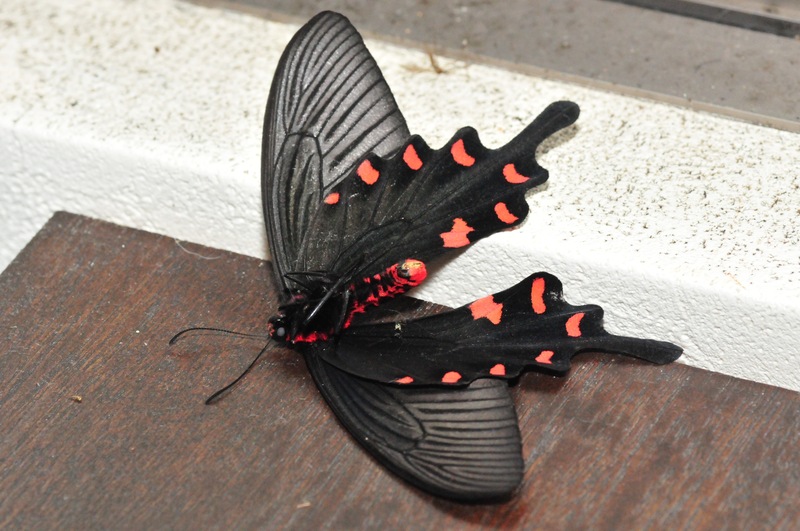 Dead Butterfly- not on the main narrative. 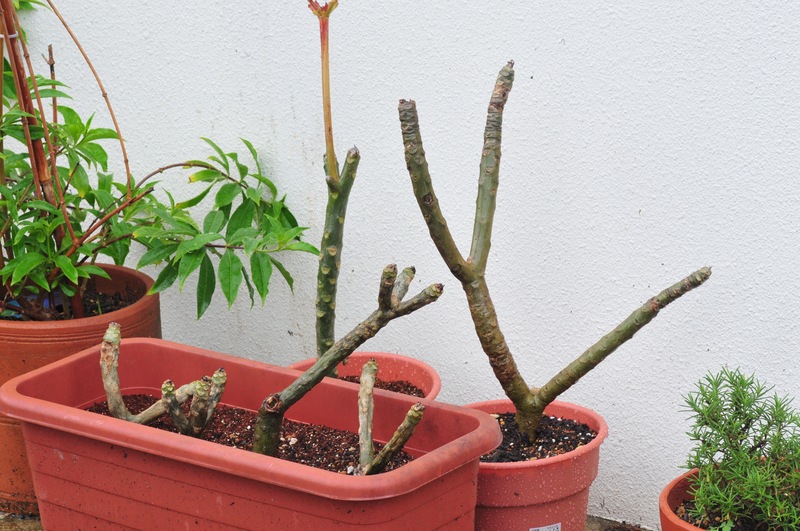 I slash her tree and plant out the cuttings after covering them with rooting hormone. Try miming rooting hormone next time you go to a garden center. Snails are an awful pest at this time of year in Okinawa. I had a hundred or so healthy marigolds that were scoffed by snails overnight. I fear they will get my Nasturtiums also. Let’s hope she likes me. 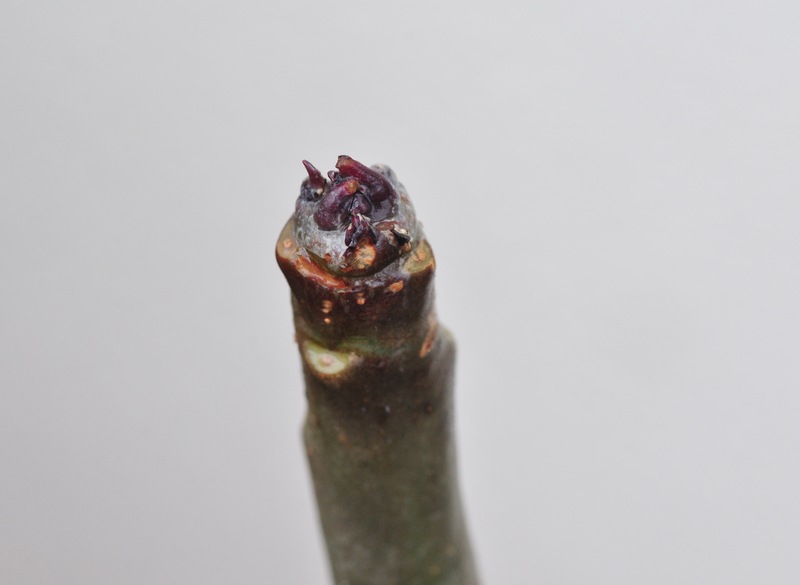 So, let’s hope that all the Plumeria thrive. 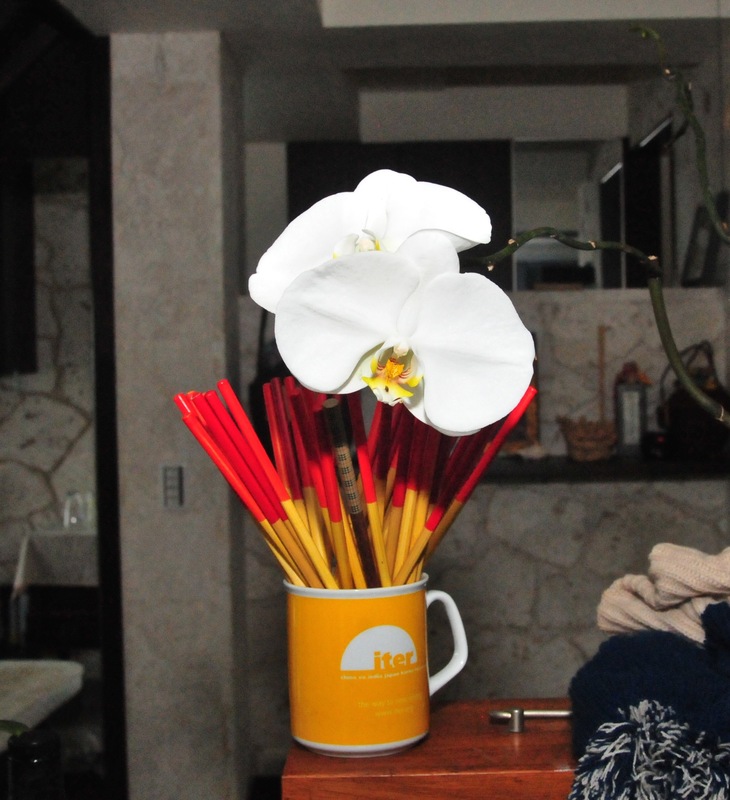 Meanwhile, I have beautiful Orchids in the kitchen. Snails have also emerged here, allowing the keen pleasure of hurling them into the neighbour’s garden. Needs a decent fling to get the snails not to treat the trip to the neighbour’s garden as a holiday trip – http://www.theguardian.com/environment/2014/may/16/snails-homing-instinct-overcome-move-20-metres-away . Was wondering if slug pellets were unavailable in Okinawa. That copper tape stuff seems to work quite well on pots as does crushed sea-shells spread around the area. Something else to do when not out in the boat? I can see that beer traps might be a problem as the essential material can be a comfort when plants are lost to the invaders. Aha, crushed sea shells abound. I will try that. Thanks for the tip. Do you remember the grapefruit skins at Sale Hill? They worked but then you have to kill the bastards. 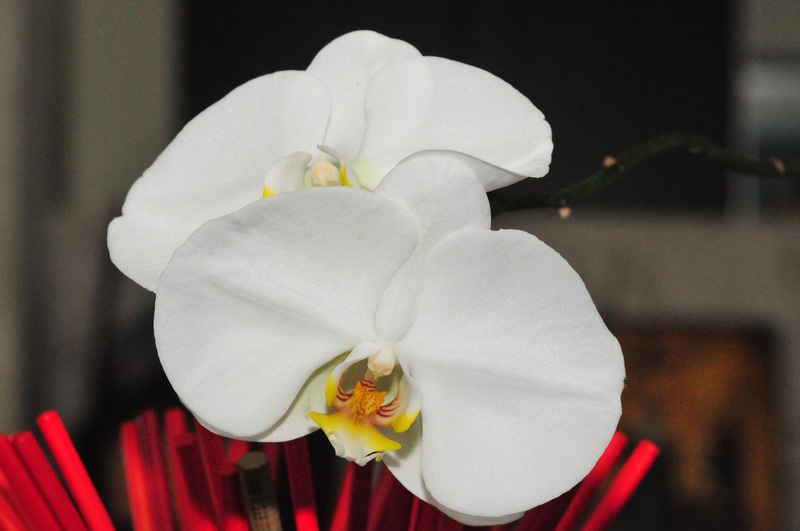 The best plants are those saved, stolen or given not the ones you buy – there are no memories attached to them. Can’t remember grapefruit skins for catching snails. However do remember Mother segmenting a grapefruit for my breakfast with a special grapefruit knife. This is something that I really appreciated. If you drink real coffee, use the coffee grounds as a mulch – snails and slugs are killed by coffee grounds and it improves the soil. Pleasure to hear from you. Yes we drink a whole lot of coffee in Japan. I will take your advice and dump the grounds into my pots and hope that deters the bastards. Thanks. Must go and put cold compress on skull having dropped the Scaffie’s yard onto my pate again. Coffee grounds sound a nice idea but are, sadly. not likely to help as slugs and snails happily devour them without ill effect. http://www.paghat.com/coffeeslugs.html . Seems that a very strong brew of Robusta beans sprayed on the plant might help but might damage the plant which has to be eaten by the slug to get any effect. 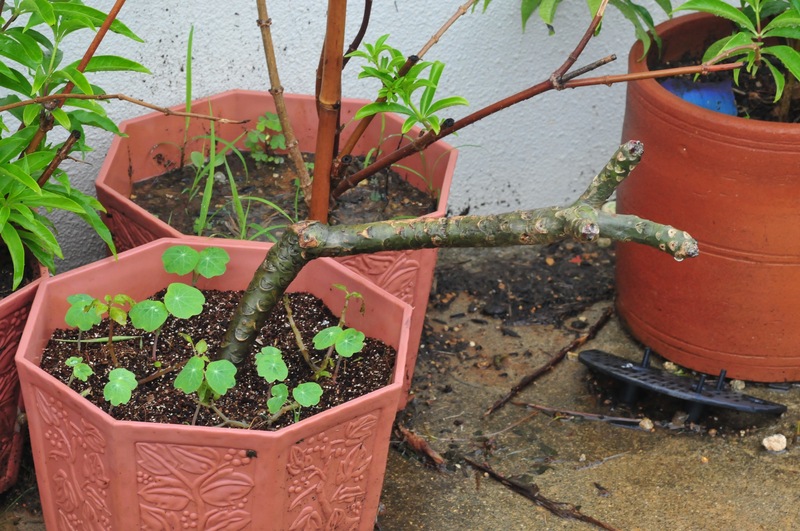 Sorry about the cold water – coffee grounds are a good mulch though. Don’t touch the stuff myself but I do collect the free packs of used grounds from Starbucks.